Flexible metal hoses and hard pipe manifolds to handle your high-pressure and temperature-variable needs. Whether you’re heating things up or cooling them down, your compressor needs to operate under high pressure and highly variable temperatures. 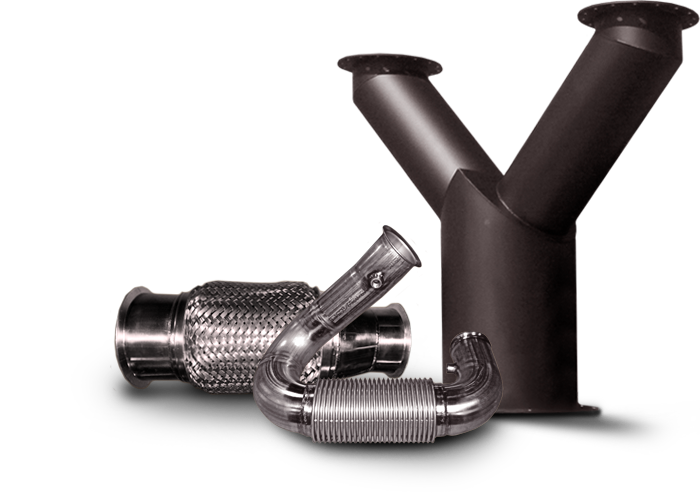 Cenflex hard pipe manifolds and braided flex hoses limit the stresses on your compressor and piping system caused by pressure, pipe expansions, and pipe contractions. Cenflex custom-designed products – including hard pipe manifolds, connectors, assemblies, exhaust systems, and expansion joints – are pressure-tested to meet your requirements. Quality testing of our flexible steel tubing and piping products includes helium testing up to 3500 psi and hydrostatic testing up to 6000 psi.